This soothing bath with Hawaiian red ‘alaea sea salt has over 80 minerals. 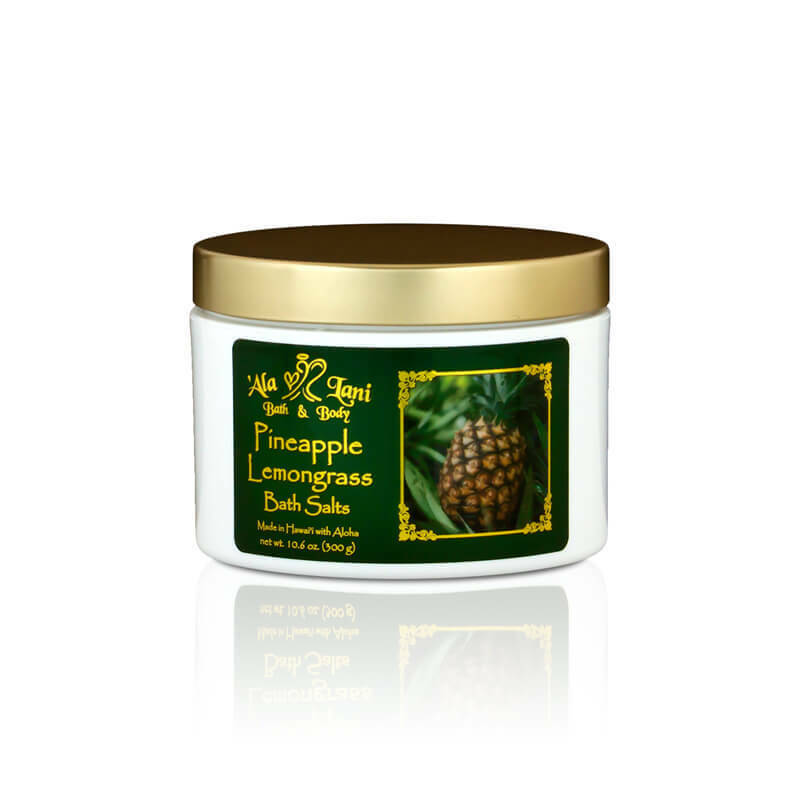 We then add organic Hawaiian herbal extracts, such as green papaya, ginger root, and passion flower. These are used to promote cellular rejuvenation, improve circulation, and detoxify and soften the skin. Kaolin clay, baking soda, Epsom salt, and vegetable glycerin are added to help hydrate and tone the skin, as well as relieve stress . You just may find yourself taking extra-long baths! Sit back, breathe in, soak, and enjoy!